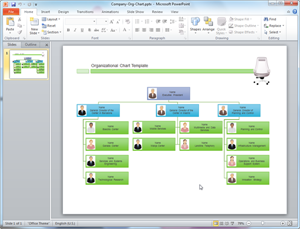 Edraw offers you a number of ready-made organizational chart templates which you can use in your drawing. Edraw is used as an organizational chart software coming with ready-made organizational chart templates that make it easy for anyone to create beautiful organizational chart. 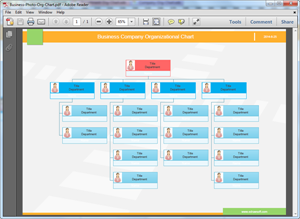 The organizational chart templates are easy to use and free. Edraw can also convert all these templates into PowerPoint, PDF or Word templates. 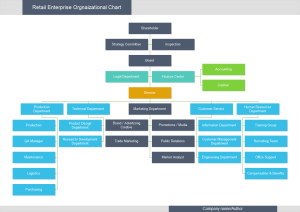 Creating an organizational chart in Edraw is easy. It only takes a few seconds to choose a basic template, insert text and images, and add the finishing touches. If you want to use a ready made template, go to organizational chart templates page and choose the Organizational Chart that best suits you. When you finish creating your organizational chart in Edraw, one click on the Export button will transfer your drawing into MS PowerPoint presentation. You need to consider few things when creating an organizational chart. In order to save the template as a design template, you need to download Edraw and edit it. All templates in the software gallery windows can easily customized by changing color, theme and effect. All are simple, only clicking on the Export PDF button will convert your organizational chart template into PDF. You can view the PDF Organizational Chart Template to view the quality to reflect the hierarchy in your organization. 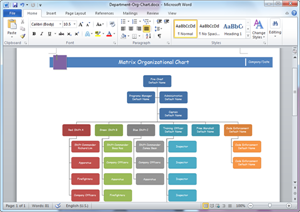 Organizational charts (Org charts) use special shapes to represent different departments and staffs. Lines and arrows show the relationships among them. 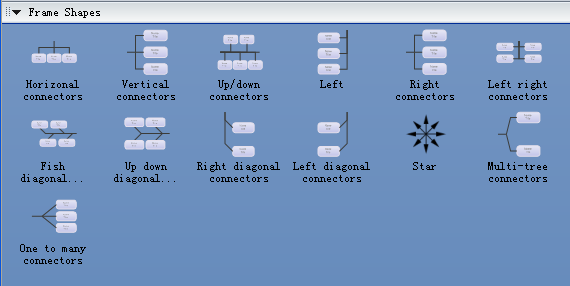 The frame shapes can connect multiple shapes in drawing. It's the most important tool to create organizational chart relationships . If you need create the company organizational chart with the staff photo, the template provide some common used shapes to help you. The card shapes can be used as any entities. Some cards provide multiple text editors. You can modify them by text tool. You can change their positions by text block tool.